It's barely September, and the fist major game release of the fall rush is here! Guitar Hero 5 hits store shelves today, and is available for pretty much every console. 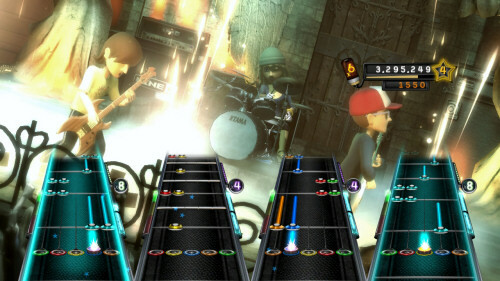 Xbox 360, PS3, Wii, and PS2 gamers can rock out to the new and improved game engine today. I'm eagerly anticipating this one, and it's scheduled for delivery today; look for our review later this week. Also don't forget that if you snag the game this month, you'll get Guitar Hero Van Halen for free. Don't forget you can purchase Guitar Hero 5 at Amazon and help support Co-Optimus! Page created in 0.2747 seconds.